Today we are featuring a blog hop that will be sure to get you excited about Close To My Heart Products. You will have the pleasure of hoping through the talented VIP’’s blogs. 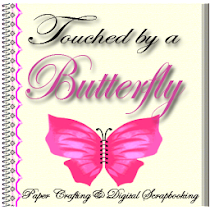 You will find a project created either using the CTMH Art Philosophy or Artiste Cricut cartridge or both. 3. Share this blog hop with your friends. A winner will be chosen on Monday, June 3rd and posted here so be sure to check back. This hop will begin at Shalana’s ~ http://scrappinwithshalana.blogspot.com/ so you can always start here if you lose your way. I am the last blog in this hop so feel free to take a look around at other creations. Here is my creation for the blog hop. I made this coin envelope mini book using CTMH products, my Cricut Artiste and Art Philosophy cartridges that can only be purchased at CTMH. These are the tags for each of the envelopes also cut from the Artiste cartridge also on page 37. I inked the edges of the envelopes using ink pads from CTMH, cranberry, gold rush, blush, slate and sorbet. The inks matched the paper colors nicely. Some of the flowers were cut from both Art Philosophy and Artiste cartridges. The Pin Wheel was cut from Page 50 of the Artiste cartridge. I used the Dream Pop paper pack as seen below. Don't you just love the vibrant colors? This paper pack was only sold during the month of May 1st through May 31st for 10.00 when you purchased 35.00 in merchandise. Helena you know i love seeing your beautiful creations great job love them all. Thanks Meka. I'm glad you like it. Thanks Moe. When am I going to see yours? Beautiful! I love these colors!! Super cute album!! Love the coin envelopes and didn't even know that was on my cartridge. Thanks for showing me another great cut that I can use! Josie I did not know this cut was on that cartridge either. I was on you tube looking at videos on how to make coins envelopes when I saw I already had it on the Artiste cartridge. I love this cartridge. your project is cute! thanks for the giveaway!